OKLAHOMA CITY – Heroes are great. You know why? Because they are powerful. They can do things we can’t. Heroes can fly. Heroes can slay enemies with a measly bone. Heroes can single-handedly deliver armies unto victory. They’re AWESOME. That reminds me: But you know what makes heroes even greater?? They are vulnerable. 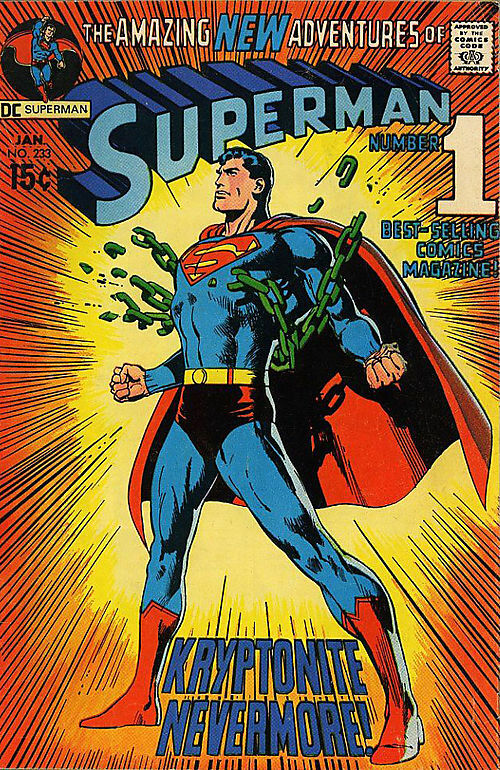 For all Superman’s powers, he can be brought down with just a chunk of Kryptonite. For all Samson’s strength, a woman humbled him. For all the might of Achilles, it was nothing when an arrow struck that pesky heel. 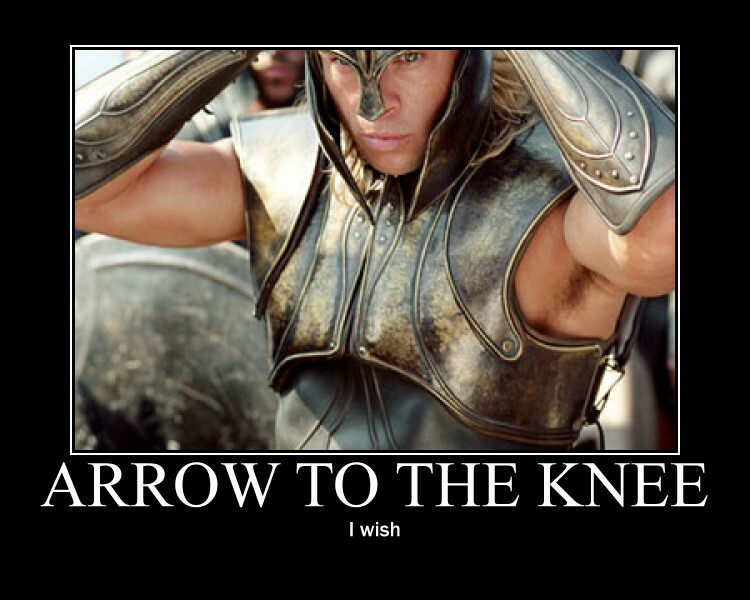 Achilles would’ve preferred an arrow to the knee. Poster courtesy GreenRainbowDrinker. Flaws allow us to relate to heroes. Show me a completely perfect hero and I’ll show you someone with whom nobody can connect. We are all flawed, and strangely, we seem to connect over flaws more than anything. Just look at all the gossip websites, TV shows, and magazines – we’ve monetized imperfections! The point is, we want our heroes to achieve something, and achievements are pointless without adversity. We want Superman to defeat Lex Luthor despite the kryptonite. We want Samson to overwhelm his enemies one last time despite Delilah’s betrayal. We are glad that, despite the arrow to his heel, Achilles was victorious. We love to see greatness, but it’s even better to see greatness triumph. Superman overcame his kryptonite which was, in that case, actual kryptonite! Breathtaking. These are the moments of legend. These are what we remember. What we don’t realize is, there’s Kryptonite blatantly on display. Like all great heroes, Durant has a weakness. He has an urge he cannot control. He has a desire that is so tempting, so promising, so tantalizing that he cannot avoid its seduction. Despite all his formidable capabilities, despite his might, despite his MVP-caliber ability, there is forbidden fruit that hurts The Servant more than anything else: the 3-point shot. This information provides conclusive evidence that Durant is really less effective from 3-point range than 2-point range. Of course, theoretically, over the course of 100 shots, he will score ten more points more on 3-pointers than 2-pointers. But, when simply putting any points on the board, what matters is taking a high percentage shot. Thursday, the Thunder lost Game 3 of their first round matchup with the Memphis Grizzlies 95-98. If they could have conjured up four measly points, they would have gone home victorious. In the game, Kevin Durant shot 10-27 FG for 37%. Within those attempts, he shot 0-8 3FG for 0%. 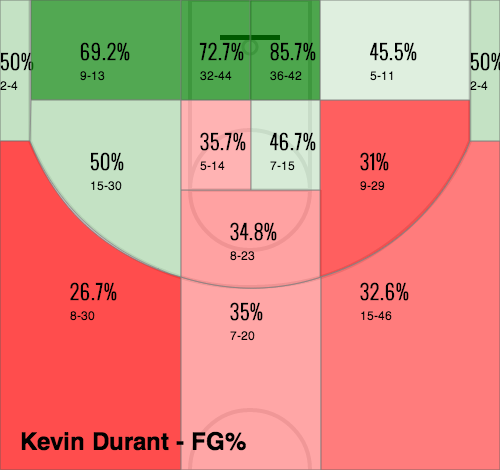 If we subtract those eight 3-point attempts from his overall FGs, Durant shot 10-19 for 52.6%. So, let’s imagine that Durant says “No!” to Delilah. Let’s say he instead turns to his mighty guardian angel, the 2-pointer. If Durant replaces those eight 3-point FGs at 0% with eight 2-point FGs at 52.6%, he makes 4-8 FGs, scores eight more points, and the Thunder win handily. Remember, they only lost be three points. 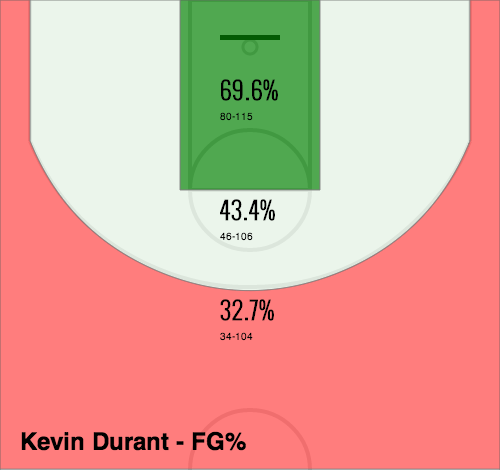 Shots from this range are Durant’s guardian angel. Sun Tzu said that, with the proper and strategic application of force, one’s army would defeat foes like a grindstone against an egg. In other words, the victory would be totally and absolutely complete. 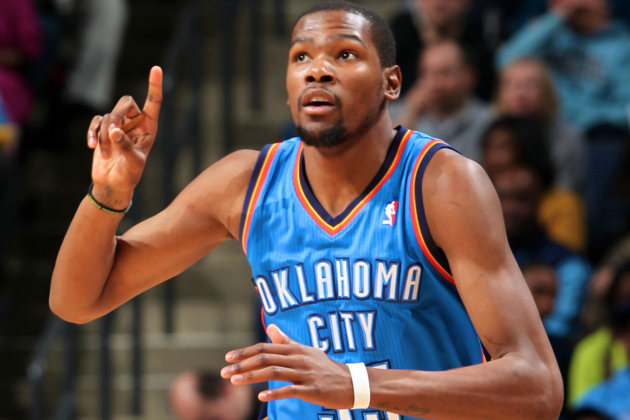 By jacking up eight 3-pointers, Kevin Durant is eschewing the grindstone for a feather. While the egg might break under the falling feather (if struck with miraculous precision), there is much less room for error and much greater chance of failure. The grindstone is the sure bet. Kevin Durant is a hero. His game is powerful, and his abilities are vast. He may very well be the MVP. For all that, he is still improving. He is only 25 years old; Michael Jordan didn’t win a title until 28. Dirk Nowitzki didn’t win until 32. Hakeem Olajuwon didn’t win until 31. If Durant does not win at this age, he is in good company. 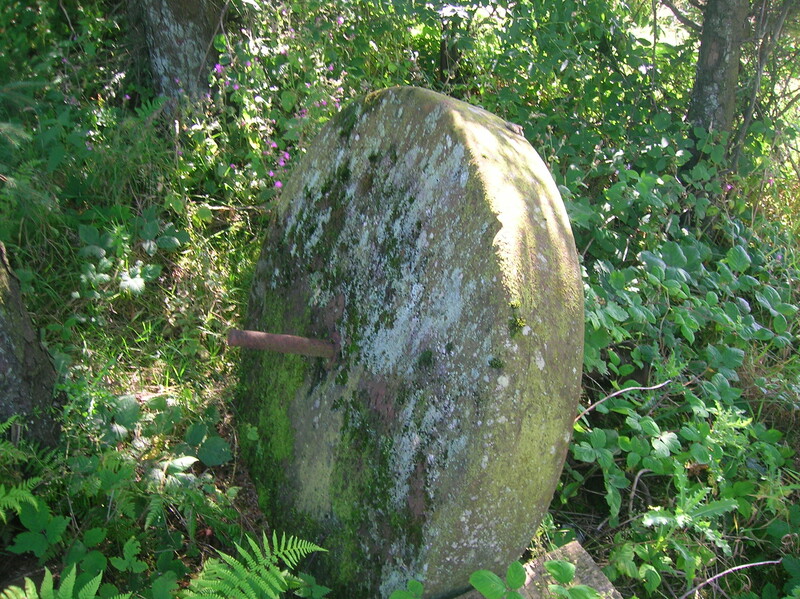 This grindstone would easily break the egg. I specifically picked Jordan, Nowitzki and Olajuwon because, though they were great, they didn’t win until they overcame their kryptonites. In the end, they developed reliable games with go-to bread-and-butter moves that crushed the opposition like a grindstone on an egg. 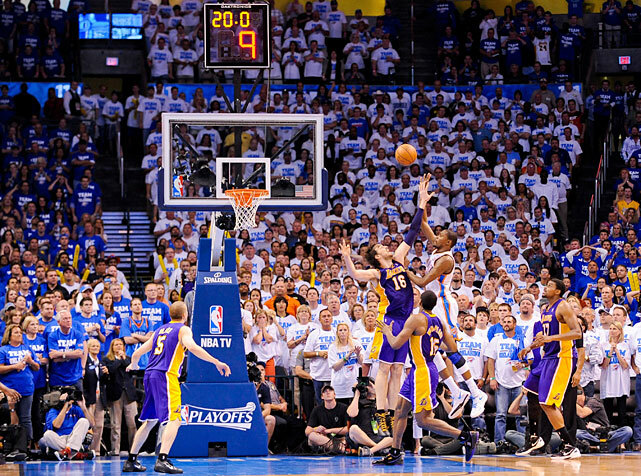 I hope to see the same from Durant someday. Serve up the grindstone, KD. Say no to Delilah. Shield the heel. The time is now. Grant Stevens is a guy who usually writes movie reviews, but in this case realized he needed to share his doubtlessly indispensable insight into why the Oklahoma City Thunder are losing to the Memphis Grizzlies. For this reason, Grant is a hero. He is also the Maharaja of the Use Ironic Correctly Society, and he always uses a grindstone to break his eggs. He also is into apologetics, and he has recorded at least one music album of his own songs! Check it out!